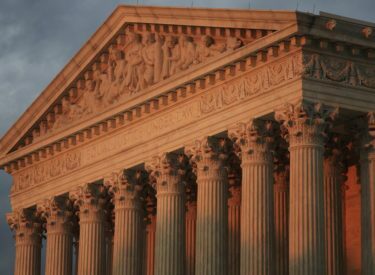 WASHINGTON (AP) – The Supreme Court is debating whether an Indian tribe retains control over a vast swath of eastern Oklahoma in a case involving a Native American who was sentenced to death for murder. Some justices fear a ruling for the Muscogee (Creek) Nation could have big consequences for criminal cases, but also tax and other regulatory issues on more than 3 million acres of Creek Nation territory, including most of Tulsa. That’s Oklahoma’s second largest city. The issue is before the high court in the case of Patrick Murphy, who was convicted of killing a fellow tribe member in 1999. A federal appeals court threw out his conviction because it found the state lacked authority to prosecute Murphy. The appeals court ruled that the crime occurred in Indian country.